The fracking industry's standard promises of jobs, energy-independence, and environmental-stewardship have all fallen flat. Now they've launched a new campaign with a new talking point; "you need us." Last month the Marcellus Shale Coalition - along with The Associated Petroleum Industries of Pennsylvania, the Friends of Natural Gas PA and the Pennsylvania Independent Oil & Gas Association - launched a new web video that extols the benefits of natural gas by giving it credit for the creation of "everything from life-saving heart valves to toothpaste" ... and just about every OTHER thing the average American family might think to use in their home. In the pre-promotion of the video, outgoing Marcellus Shale Coalition CEO Kathryn Z. Klaber said: "It is really remarkable to look around at the items we rely on every day – from eye glasses and credit cards to clocks and medicine bottles, along with those necessities of summertime, including fishing rods, lawn chairs, and sunscreen – and realize that they are all available to us because of the work we’re doing right here in Pennsylvania to responsibly develop a resource that plays a role in the manufacturing of many goods and products." The implication is, of course, that without fracking we would be forced to live in a world without zippers, handcuffs, and bed pans. Klaber goes on to say that the video "will be a valuable educational tool for teachers and families everywhere." The artfully animated, cheerfully scored video called “Natural Gas Does That” targets a younger audience (The theme song alone is enough to make you want to go out and buy a Volkswagen). It can be viewed at http://youtu.be/KT8CkDRFKnM. 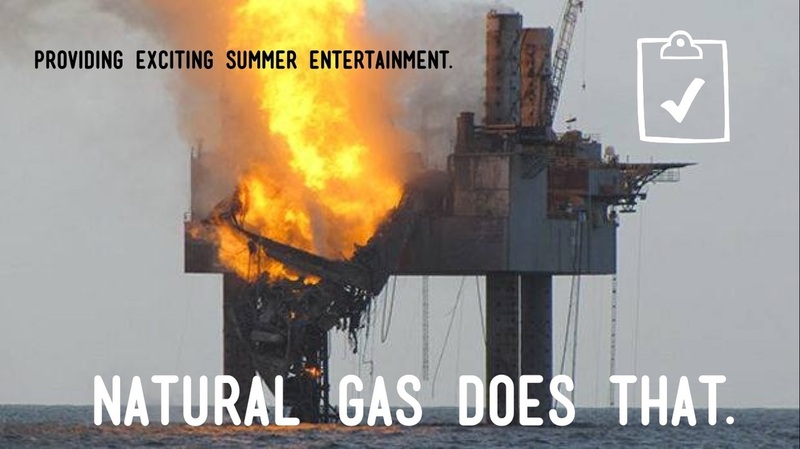 But it neglects to depict the TRUTH (and the consequences) of natural gas extraction. 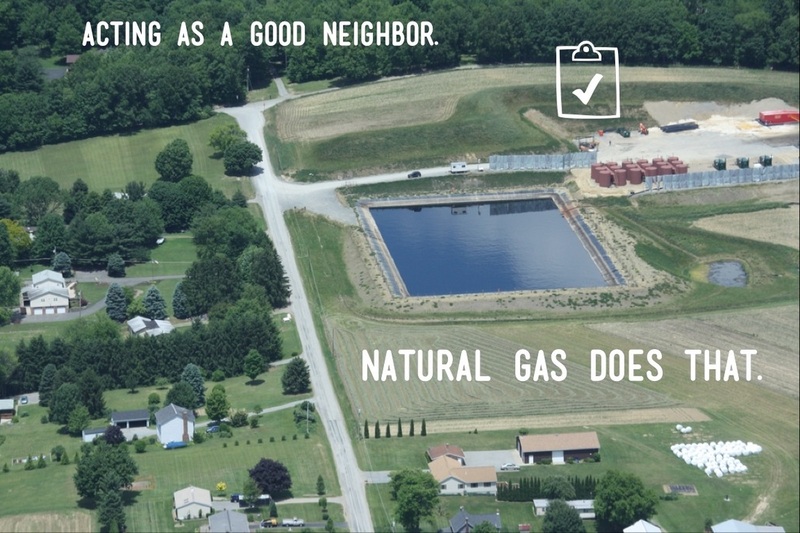 Left out of the colorful animations and whimsical graphics in this new "outreach" tool are the REAL images of what fracking for natural gas does here in Pennsylvania, and around the nation. 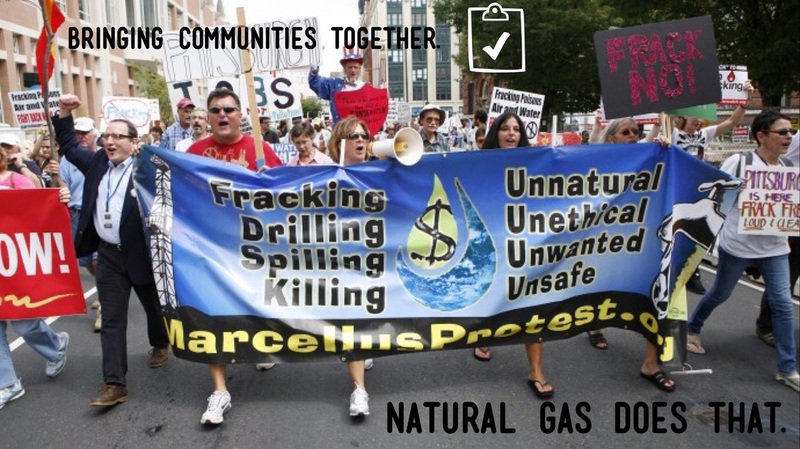 Marcellus Protest in Pittsburgh, PA suggested the creation of a series of photos to expose the truth and several people across PA volunteered their skills. With the help of others, we're going to help fill in the gaps with a new series of memes. 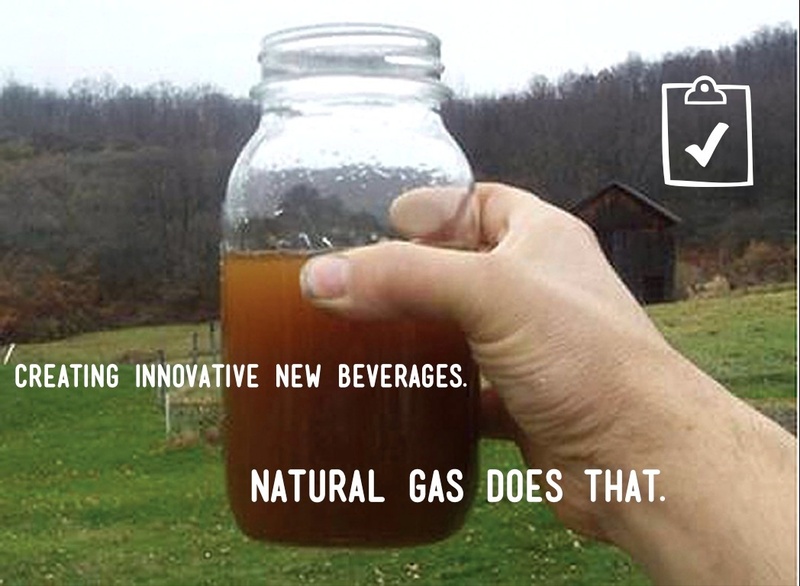 Starting Monday, August 5, 2013, Marcellus Outreach Butler will post a new meme that illustrates the REAL consequences of toxic fracking in our communities. Without warning or predictability the darkness and silence of night are pierced by a flame spewing radioactive material, hydrocarbons, volatile organic compounds, and other toxins into the air and down onto the homes and schools around it. 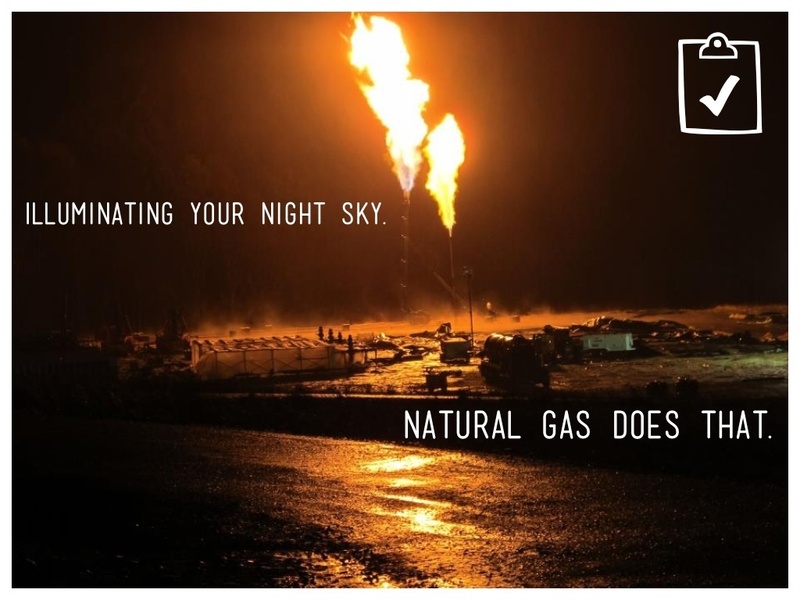 Flares come from not only remote wells in national parks and farmland but also from processing plants and compressor stations located along the pipeline and distribution centers. 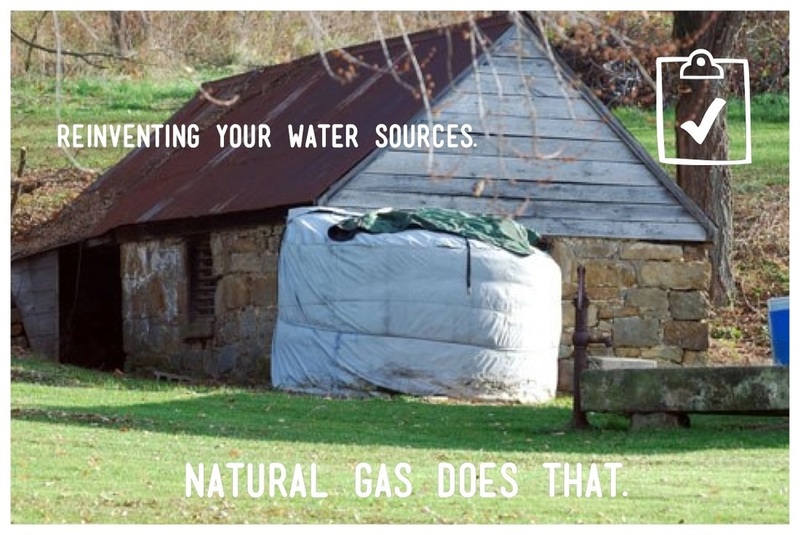 Some wells in Butler County have flared for over a month. A recipient peer reviewed Duke University study that looked at 141 private water wells found that the average methane concentration was six (6) times higher in well within one (1) kilometer (km) than those at a distance over one (1) km. Parks and forests have been a popular target for the fracking industry for a variety of reasons. 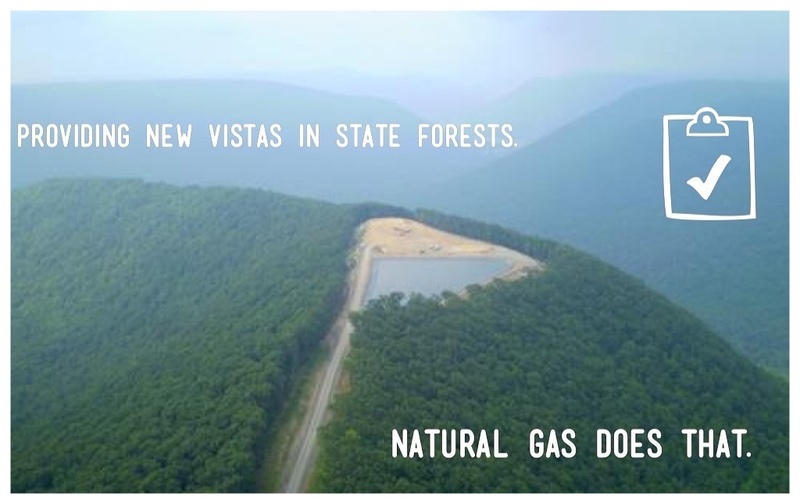 The clear cutting of forests for well pads, pipelines, and compressor station has had an undeniable impact on the quality of the land and the use for which these areas were intended. These study paint the picture of an extraction process that has real impact on the water quality in the area where it is performed. 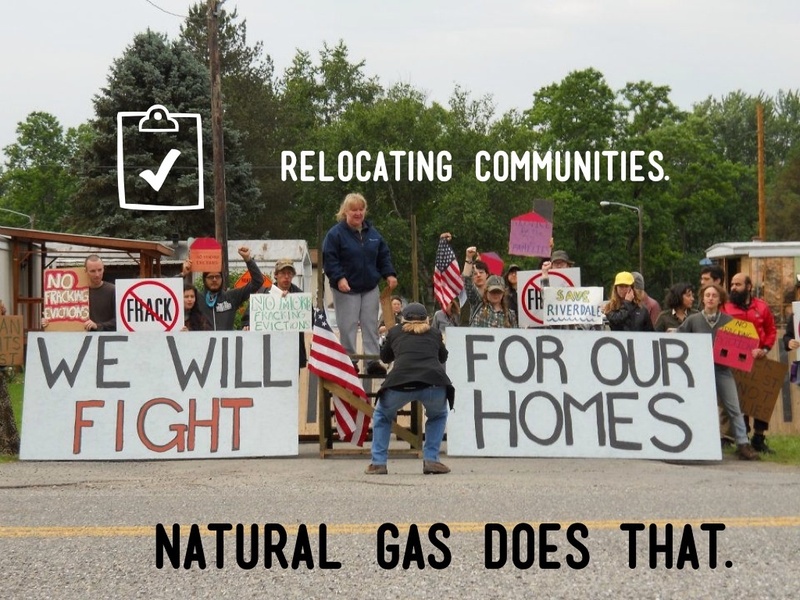 The advent of fracking to squeeze natural gas out of tight formations and the industries ability to steamroll local zoning laws has made it possible for large scale fracking operation to pop up just about anywhere they can get a lease. 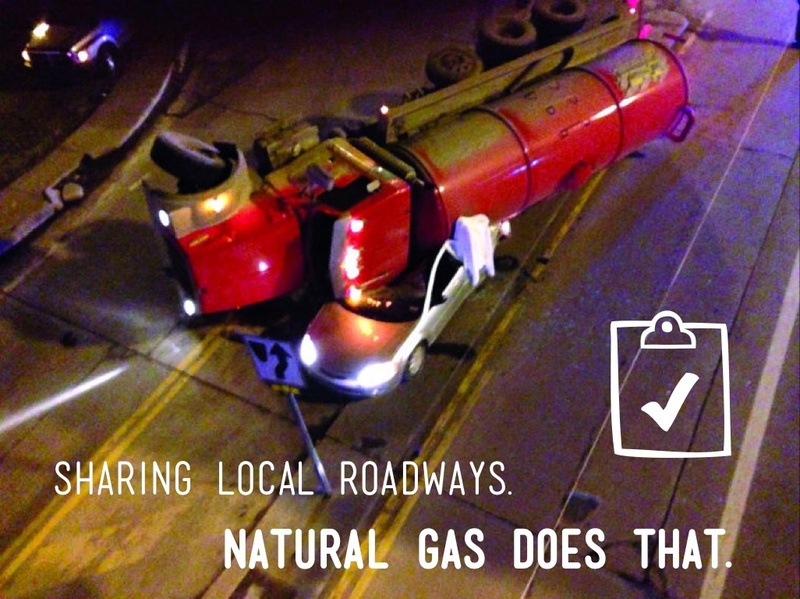 The industrial processes surrounding natural gas extraction produce excessive noise with has a profound effect on residents and wildlife. Here a decibel meter is seen registering 84.9 dB several hundred yards from the site. Many experts use 85 dB as the cut-off for dangerous noise levels. 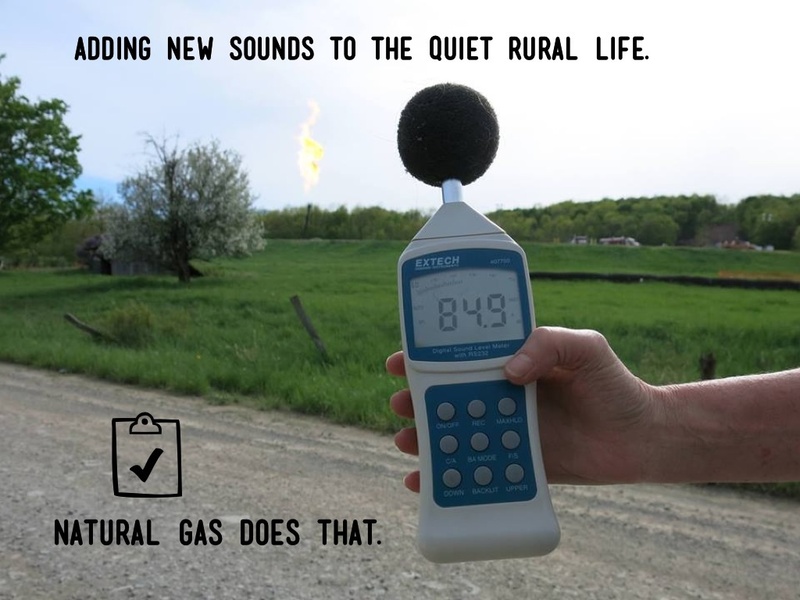 And it isn’t just flaring that creates disruptive noises. Although other industries require truck traffic, there are four reasons that fracking traffic crisscrossing our rural roads to and from well pads is more dangerous than other traffic; the trucks contents, volume of traffic, weight, and use of rural roads. Volume of traffic: Estimates as the number of trucks required to prepare, drill, frack, and haul the water away from a well range from 750-7,000 per well. This is probably due to the fact that each pad can hold a different number of wellheads and would require more or less water. Even if the true average came in closer to the lower number, it is more heavy truck traffic in just a few weeks than most rural roads normally see in a year especially if you consider that these are round trips. Well casing failure rates are not improving. During our conversation, you suggested that groundwater contamination has become a thing of the past because the industry is improving its casing. I strongly challenge this assumption. The rate of casing failure has remained steady over the past 3 years in PA. 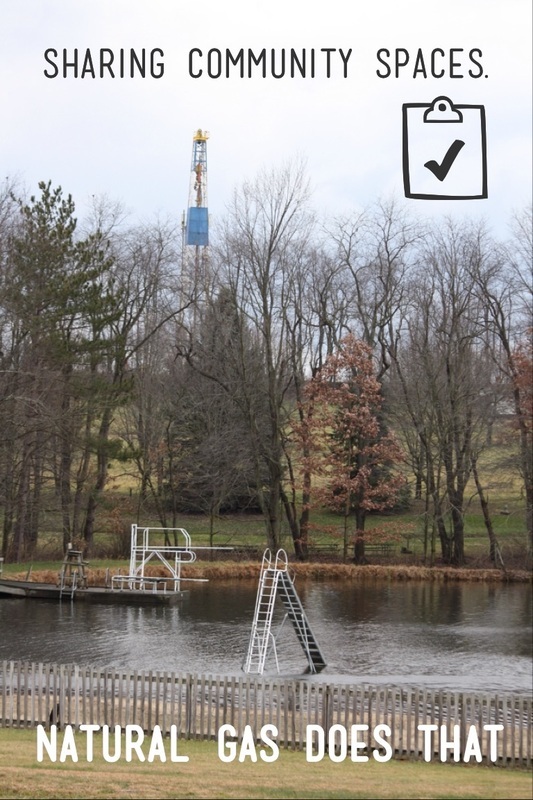 According to DEP data, 6.2 percent of new gas wells were leaking in 2010, 6.2 percent in 2011 and 7.2 percent in 2012. A quick search of DEP records shows 26 mentions of casing violations so far in 2013 alone. 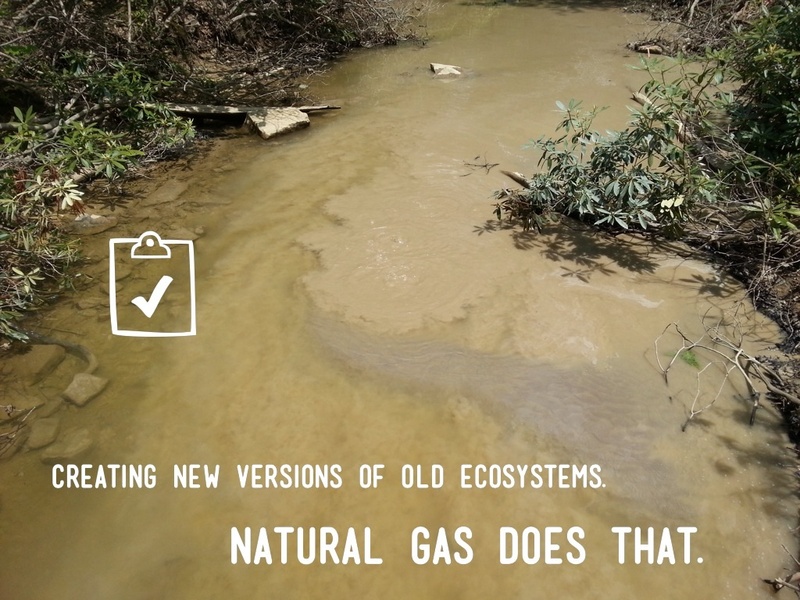 Fracking for natural gas is often sold a “clean” and “environmental friendly” technology that will avert the climate crises. This is untrue. 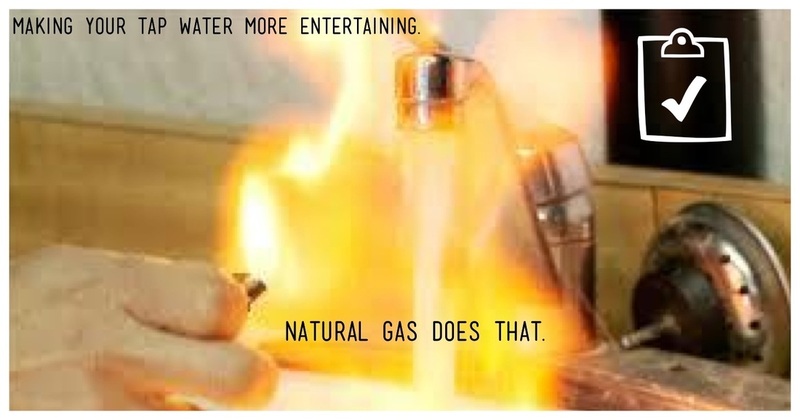 The latest science tells us that a transition to natural gas is not only unnecessary, it will actually accelerate global warming. Over a 20-year time horizon, fugitive methane emissions alone are 72 times more potent than CO2 as a greenhouse gas, according to the Intergovernmental Panel on Climate Change. When leaking methane reacts with certain atmospheric aerosols, its global warming potential could reach 105 times the heat trapping potential of CO2. 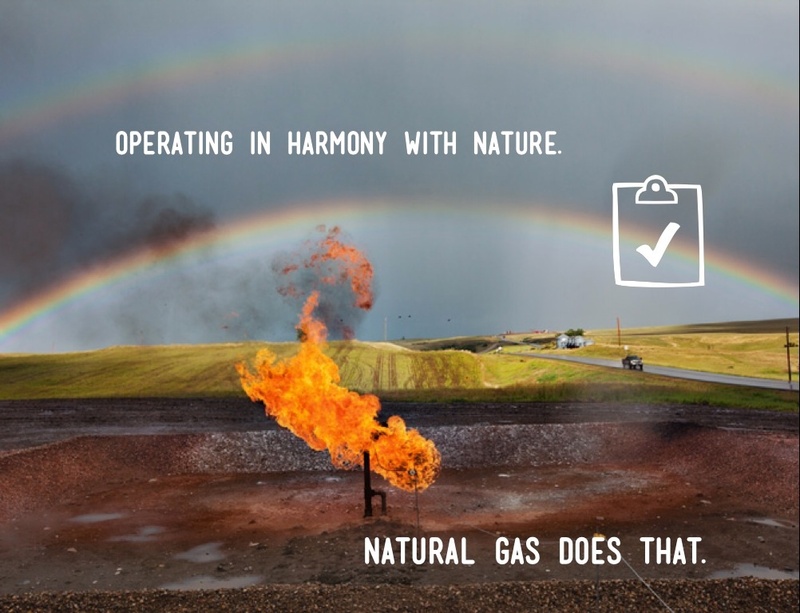 With numbers that high, a mere one to three percent loss of methane into the atmosphere would make the switch to natural gas worse for the climate. A study by Robert Howarth published just last week in the peer reviewed journal, Climatic Change Letters found that leakage is somewhere from 3.6 percent to 7.9. Other studies push the number as high as 17%. At these rates fracking spells “game over” for the climate. After widespread protests, Pittsburgh became the first city in gas-rich Pennsylvania to ban natural gas drilling. Citing health and environmental concerns, city council members unanimously approved the measure Tuesday. The council received a standing ovation after voting 9-0 to approve the ban within city limits. In late July, a natural gas leak caused a drilling rig to burn out of control in the Gulf of Mexico, raising questions about safety improvements that were supposed to follow the 2010 Deepwater Horizon disaster. The rig is owned by Houston-based Hercules Offshore. The crew tried to shut down the well using safety equipment known as a blowout preventer, which are valves meant to seal off pipes leading from oil and gas reservoirs, according to Hercules. But workers didn't succeed in doing so. Probes into the Deepwater Horizon explosion three years ago found that the blowout preventer aboard that drilling rig failed to work properly, allowing millions of barrels of oil to leak into the Gulf in the worst offshore oil spill in U.S. history. Investigators called for improvements not only to blowout-prevention equipment, but also to overall safety practices offshore. Earlier this month, nearly a dozen lawmakers urged regulators to seek input from the industry before proposing a rule, concerned that new technology requirements may force energy companies to retire their existing equipment prematurely. The Riverdale mobile home park used to sit on the banks of the Susquehanna River in north-central Pennsylvania. It housed working families with modest incomes. In 2012, all the Riverdale trailer families were evicted to make room for a pump station and pipeline that would move Susquehanna water to fracking sites elsewhere in the state. 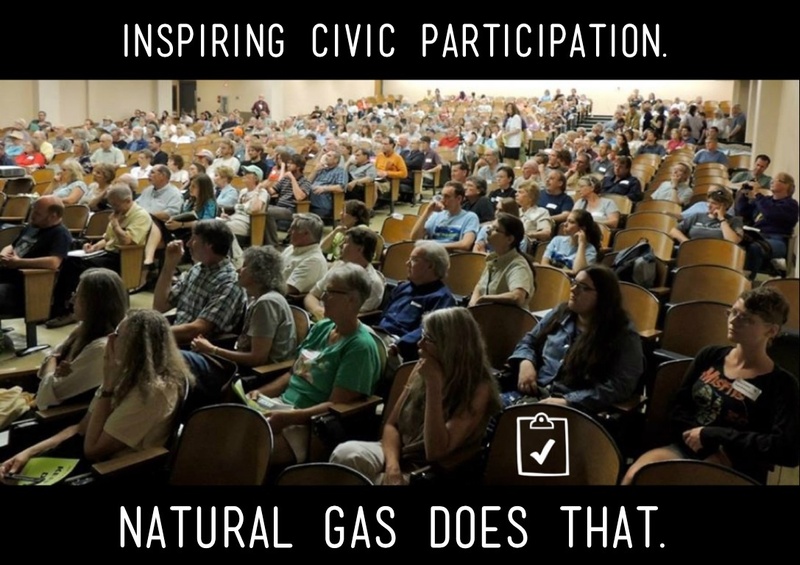 In venues big and small, local residents have organized to protect their families and communities from the dangers of toxic fracking in radioactive shale. Some choose educational efforts and others engage with local, state, and federal policymakers. Whatever your interest or talents, there is a group out there for you. Check online for a group near you.